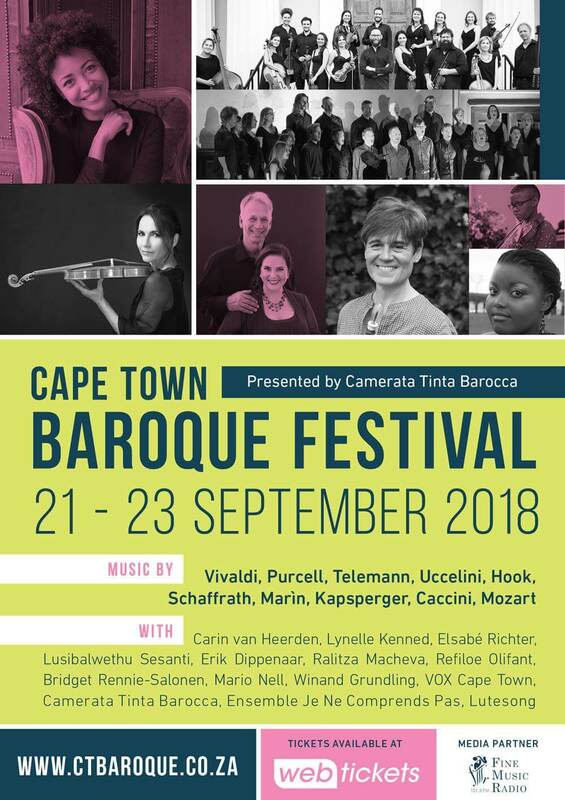 VOX Cape Town was delighted to participate in the second Cape Town Baroque Festival, presented by Camerata Tinta Barocca from 21-23 September 2018. A stellar line-up of local and international soloists and ensembles delivered a varied programme ranging from Mozart to music from 17th-century Italy and Spain. Early music experts from across South Africa and two international guest artists came together in a jam-packed three-day long festival over Heritage Weekend. VOX participated in the opening performance entitled “Glorious Baroque” on Friday 21 September in St Andrew’s Presbyterian Church, De Waterkant. This concert featured sopranos Lynelle Kenned and Elsabé Richter, mezzo-soprano Lusilbalwethu Sesanti, special international guests Carin van Heerden (baroque oboe, recorder) and Raphael Pouget (natural trumpet) as well as Camerata Tinta Barocca in an exciting programme of vocal and instrumental music from the high baroque. The central work of the evening was Vivaldi’s popular “Gloria” RV 589. Others items included extracts from Purcell’s operas “King Arthur”, “The Fairy Queen” and “Abdelazer”, the Recorder Concerto in F TWV51:F1 by Telemann and the aria “Tornami a vagheggiar” from Handel’s “Alcina”. The programme was directed from the keyboard by Cape Town Baroque Festival artistic director Erik Dippenaar. Excitingly, the concert was also broadcast live to a wider audience on Fine Music Radio. Congratulations on an outstanding performance! We thoroughly enjoyed it and I left not only with tears in my eyes but my heart filled with so much joy at hearing what beautiful sounds can be made in unison by both the choir, the solo singers and the orchestra! I was truly captivated! A world-class Vivaldi “Gloria”! 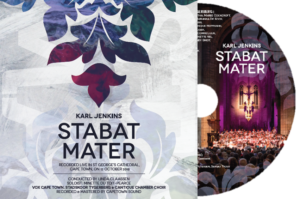 VOX can be proud of setting new baroque music standards in Cape Town. Glorious experience last night in St Andrew’s Church, De Waterkant! Bravo!